The humble cappuccino as we know it today is a product of the advances in espresso machines made in the 1950s. 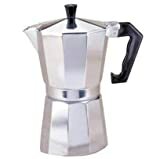 Enabling the extraction of a concentrated 'shot' of coffee and the extraction of the maximum amount of caffeine at temperatures low enough to avoid scalding the beans, the use of an espresso machine also gives rise to that most wonderful of by-products - the crema. Combined with a layer of frothed milk produced by steaming, the cappuccino is the signature drink of the age of the espresso. So why is there such variance in the quality of a good cappuccino? The selection of beans is one of the most singularly important components in the construction of a good cappuccino. As the beverage contains milk, a medium to darker roast is optimal - though deep roasts are sometimes used, these tend to be overly simplistic in terms of flavour profile, having a dominant chocolate or smoky taste. For this reason, medium to medium-dark are superior, as these roasts tend to allow for sufficient complexity, with flavours ranging from fruity notes including berry and stone fruit, to nutty notes. While the use of good beans is imperative to making a great cappuccino, it is also important how the shot is extracted. While the most common error that can occur at busy cafes or in chain coffee stores, is inadequate cleanliness of the espresso machine resulting in a slightly rancid taste, other issues are the tamping of an appropriate shot and the temperature at which this shot is extracted. While the temperature is essentially a reflection on the quality of the machine, the preparation of the shot is a question of the skill of the barista. A balance between a small enough shot that the beverage is not reduced to 'coffee crack' containing a very large serving of caffeine (depending on the location, a shot (44 mL) can be anywhere from 58 to 77 mg with some baristas preparing a cappuccino with a double shot as standard) and large enough that the coffee does not end up tasting too dilute. While the espresso purists insist that the addition of milk dulls the flavour of a good bean, for the cappuccino aficionado the addition of that last frothy milk layer can raise a good drink to something that is extraordinary. But what makes a good milk froth? While it certainly begins with the selection of a good full cream milk, it is how that milk is then steamed that makes all the difference - it is perhaps this step more than the previous two where a good barista can make all the difference. An inept coffee preparation results in either scalded milk with the attendant sulphurous, almost eggy taste or overly thick, large bubbled froth. In contrast, in the hands of a master, the milk froth will be sweet and almost creamy with very small bubbles - delicious. While an exceptional cappuccino can rest comfortably on the previous three criteria, for completeness, how the beverage is presented has to be considered. Typically, a cappuccino will be served with a fine dusting of powdered chocolate and many places will leave it at that. However, for the barista who is more than simply a coffee technician, but is rather an artist who works in the medium of powdered chocolate and foam, a variety of designs and foam creations can be constructed, which while not enough to lift a bad coffee from disgrace, can be enough to make a good, solid cappuccino worth coming back for. In closing, I hope this small article has outlined some of the key features of what makes a good cappuccino. Happy drinking. I've never had a cappuccino and it looks like I'm really missing out! Thanks for the comments! I use to be somewhat indifferent to cappuccino's many years ago, but after spending several years on two or more a day, I didn't want to be drinking something that tasted terrible. It can also be fun going to new parts of where ever you live on a quest for a decent cappuccino! I never know what to expect when I order a cappuccino. Some of them are so bland, they seem to be made out of an instant packet. 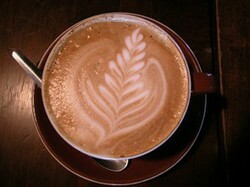 But I've also had some good ones, where I could taste both the great coffee and the wonderful milk froth. I always wondered why there could be so much difference in taste in my cappuccino when they all seem to come out of similar machines.